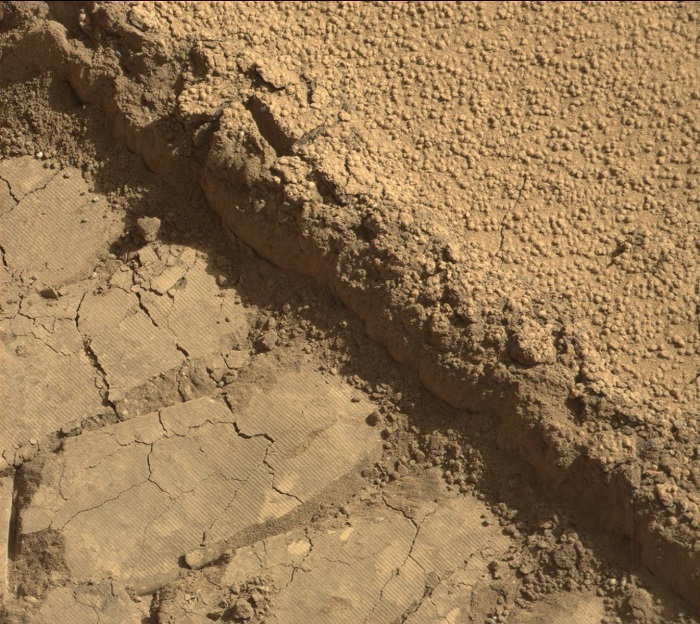 This image was taken by Mastcam: Left (MAST_LEFT) onboard NASA's Mars rover Curiosity on Sol 519 (2014-01-21 09:44:04 UTC). 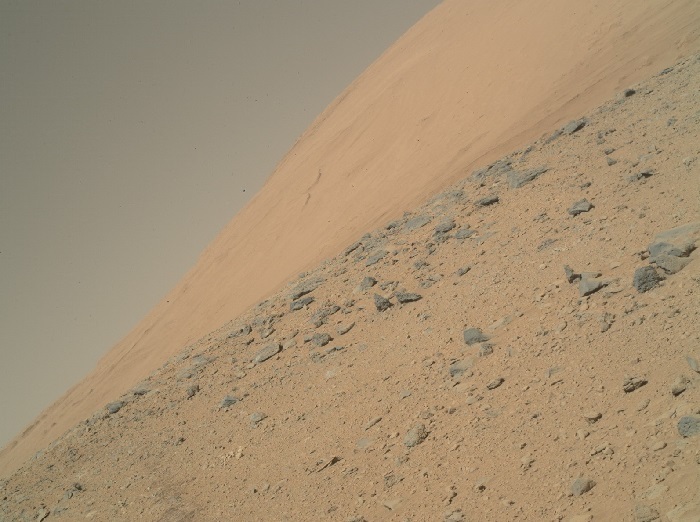 This image was taken by Mastcam: Left (MAST_LEFT) onboard NASA's Mars rover Curiosity on Sol 519 (2014-01-21 09:44:30 UTC). 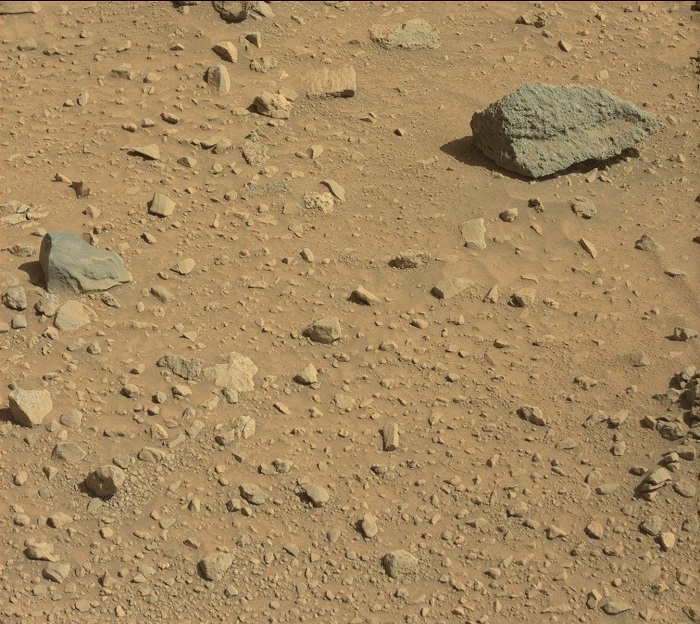 This image was taken by Mastcam: Left (MAST_LEFT) onboard NASA's Mars rover Curiosity on Sol 519 (2014-01-21 10:00:26 UTC). 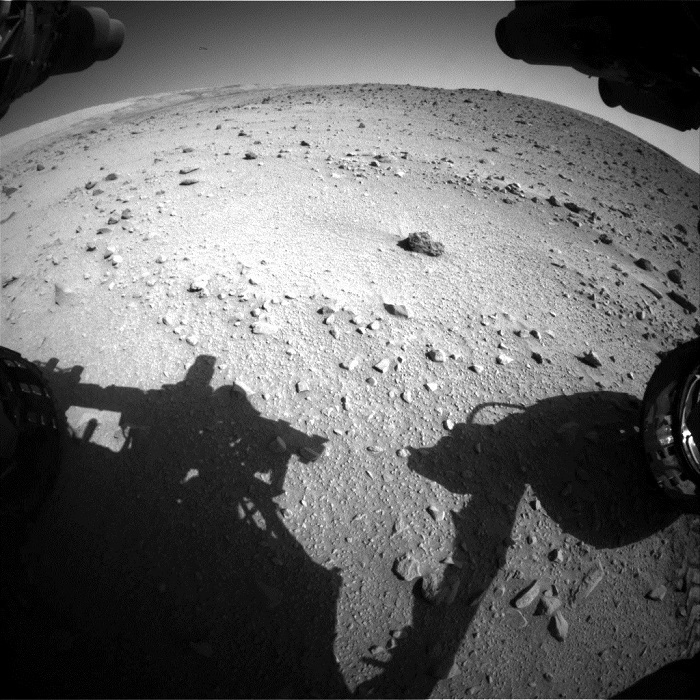 NASA's Mars rover Curiosity acquired this image using its Mars Hand Lens Imager (MAHLI), located on the turret at the end of the rover's robotic arm, on January 21, 2014, Sol 519 of the Mars Science Laboratory Mission, at 09:54:29 UTC. 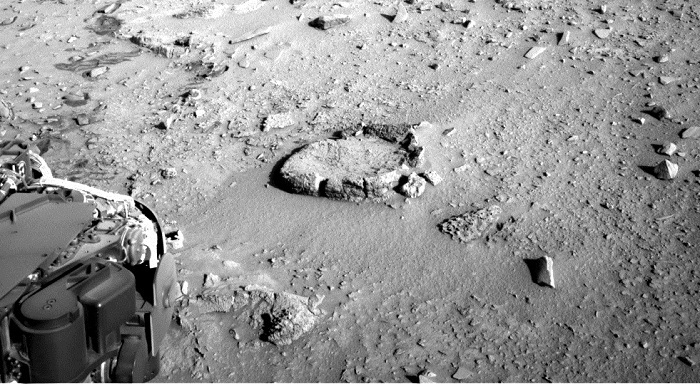 This image was taken by Navcam: Right B (NAV_RIGHT_B) onboard NASA's Mars rover Curiosity on Sol 519 (2014-01-21 09:38:13 UTC). 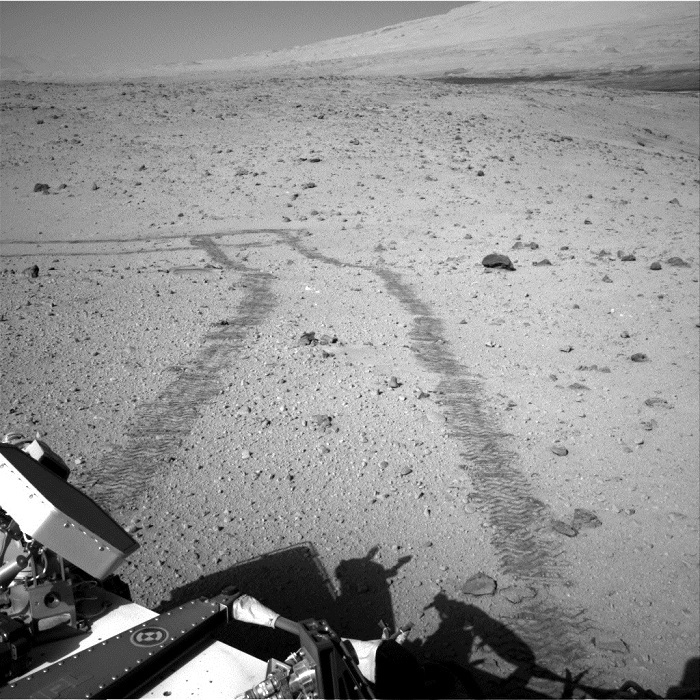 This image was taken by Navcam: Right B (NAV_RIGHT_B) onboard NASA's Mars rover Curiosity on Sol 519 (2014-01-21 09:39:40 UTC). 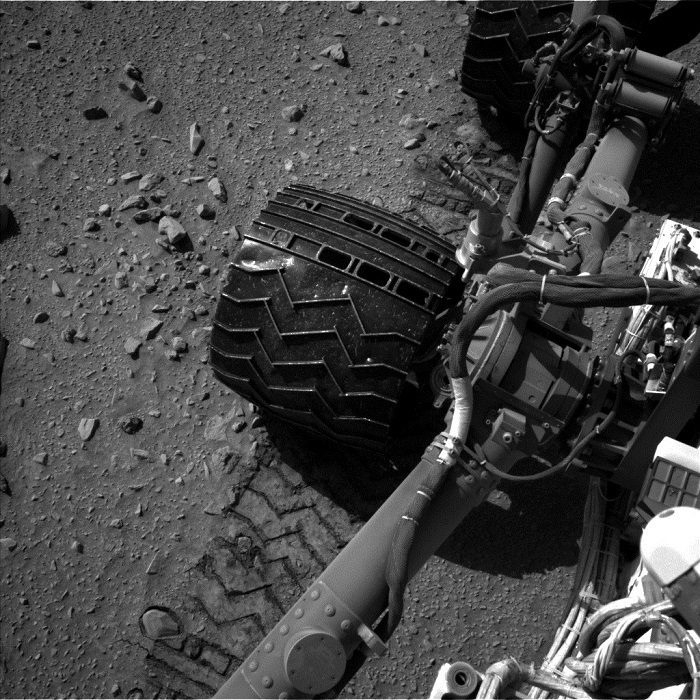 This image was taken by Navcam: Right B (NAV_RIGHT_B) onboard NASA's Mars rover Curiosity on Sol 519 (2014-01-21 09:51:04 UTC). 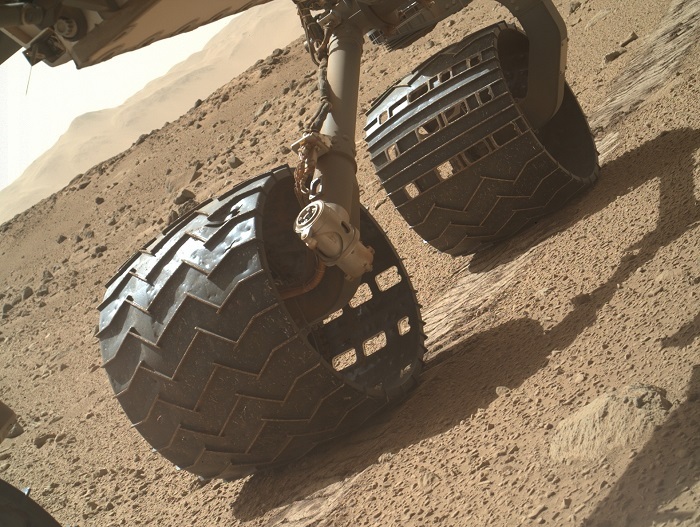 This image was taken by Rear Hazcam: Left B (RHAZ_LEFT_B) onboard NASA's Mars rover Curiosity on Sol 519 (2014-01-21 09:08:13 UTC). 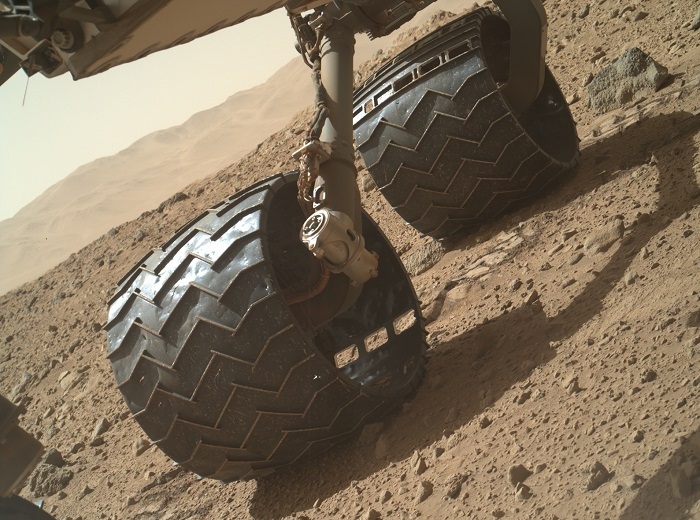 This image was taken by Front Hazcam: Left B (FHAZ_LEFT_B) onboard NASA's Mars rover Curiosity on Sol 519 (2014-01-21 09:36:31 UTC). 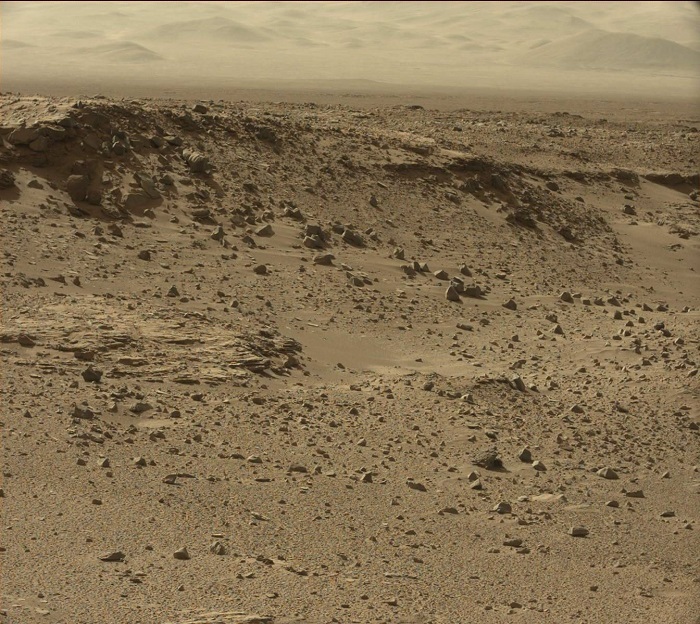 This image was taken by Mastcam: Left (MAST_LEFT) onboard NASA's Mars rover Curiosity on Sol 520 (2014-01-22 09:41:01 UTC). 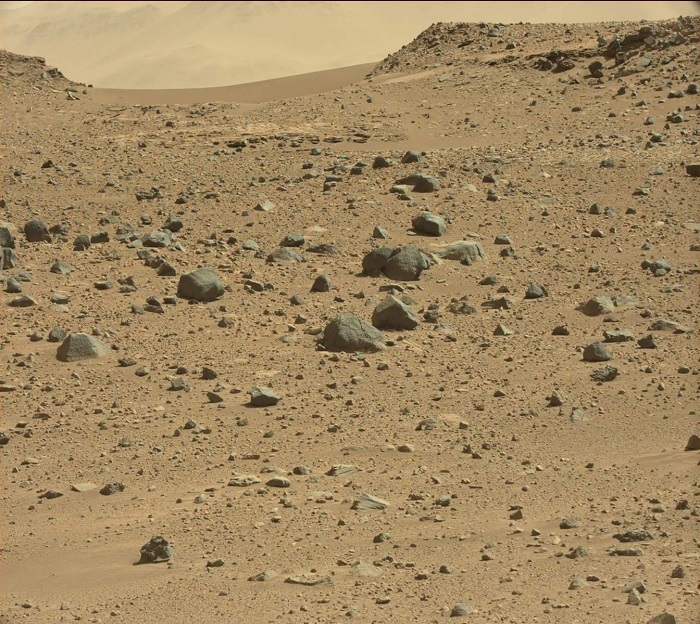 This image was taken by Mastcam: Left (MAST_LEFT) onboard NASA's Mars rover Curiosity on Sol 520 (2014-01-22 10:21:14 UTC). 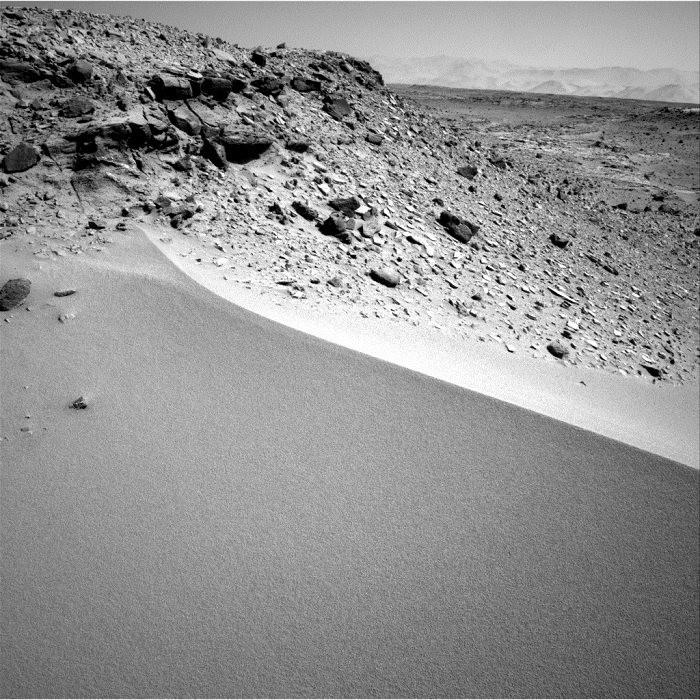 This image was taken by Mastcam: Left (MAST_LEFT) onboard NASA's Mars rover Curiosity on Sol 520 (2014-01-22 13:37:34 UTC). 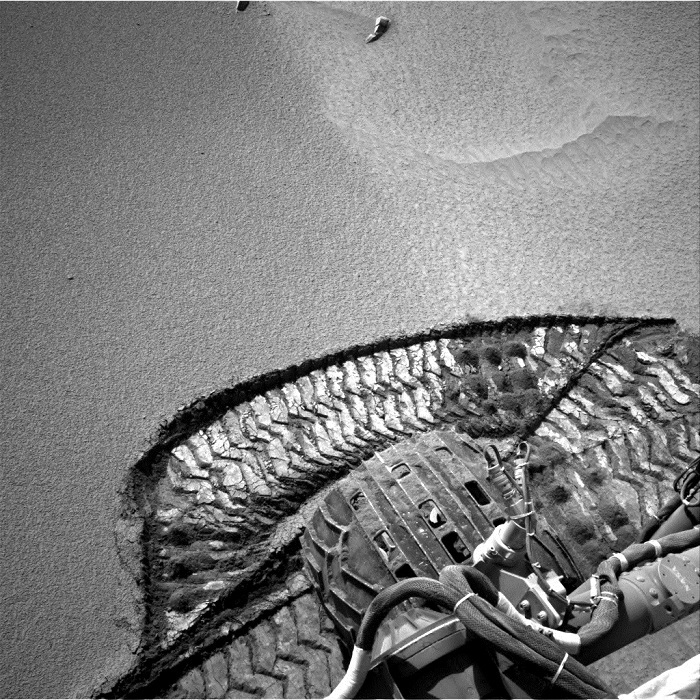 NASA's Mars rover Curiosity acquired this image using its Mars Hand Lens Imager (MAHLI), located on the turret at the end of the rover's robotic arm, on January 22, 2014, Sol 520 of the Mars Science Laboratory Mission, at 10:35:44 UTC. 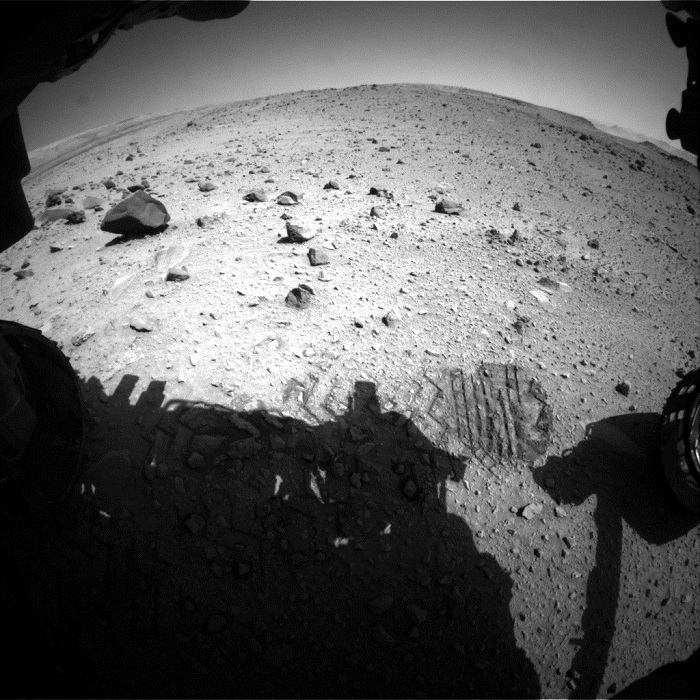 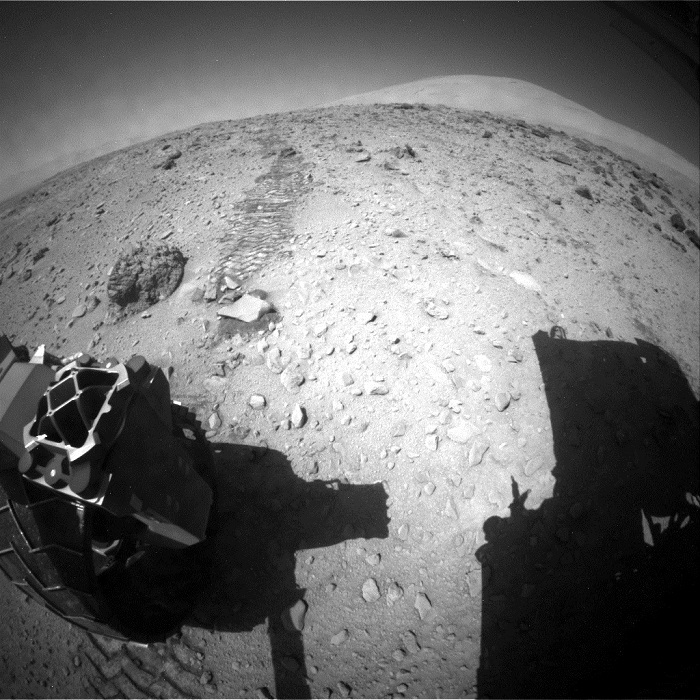 This image was taken by Navcam: Left B (NAV_LEFT_B) onboard NASA's Mars rover Curiosity on Sol 520 (2014-01-22 11:30:45 UTC). 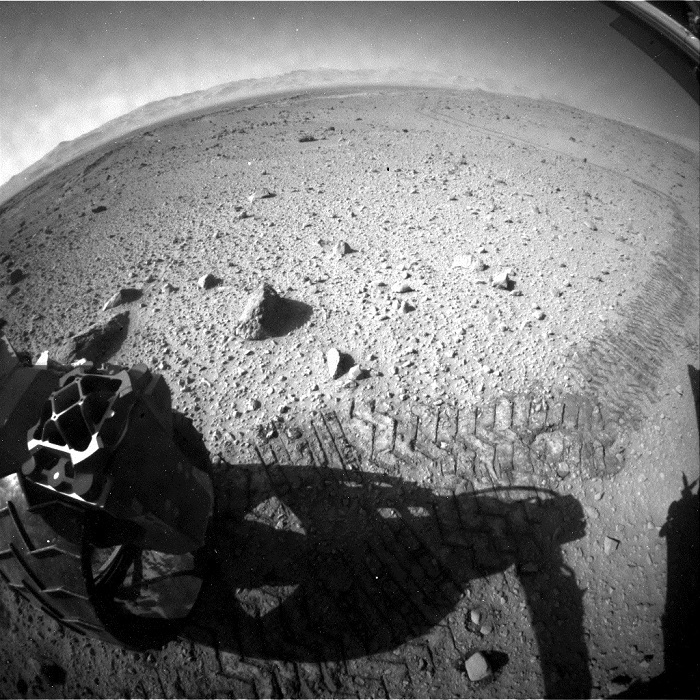 This image was taken by Rear Hazcam: Right B (RHAZ_RIGHT_B) onboard NASA's Mars rover Curiosity on Sol 520 (2014-01-22 11:15:54 UTC). 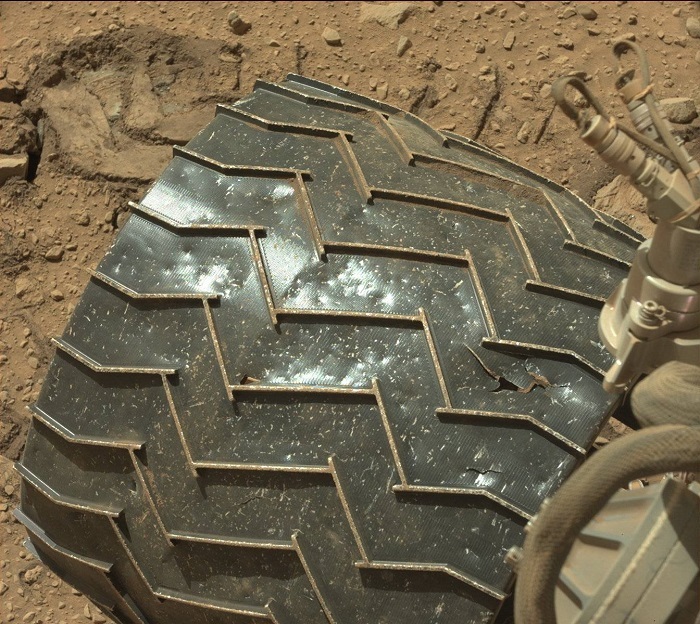 This image was taken by Front Hazcam: Right B (FHAZ_RIGHT_B) onboard NASA's Mars rover Curiosity on Sol 520 (2014-01-22 11:24:43 UTC). 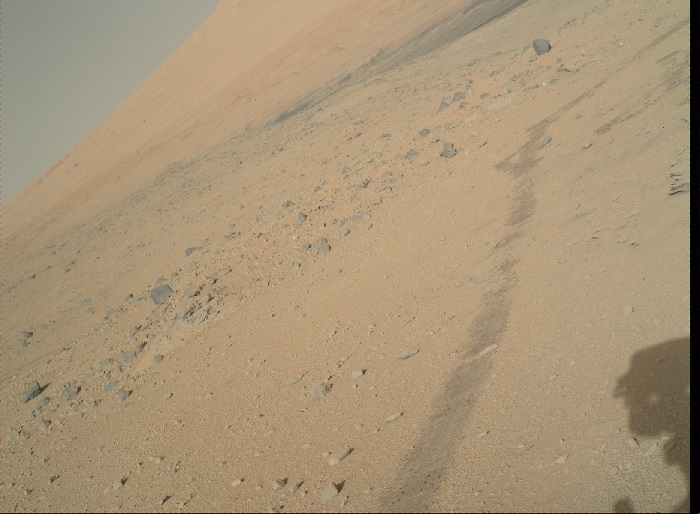 This image was taken by Mastcam: Left (MAST_LEFT) onboard NASA's Mars rover Curiosity on Sol 521 (2014-01-23 11:51:18 UTC). 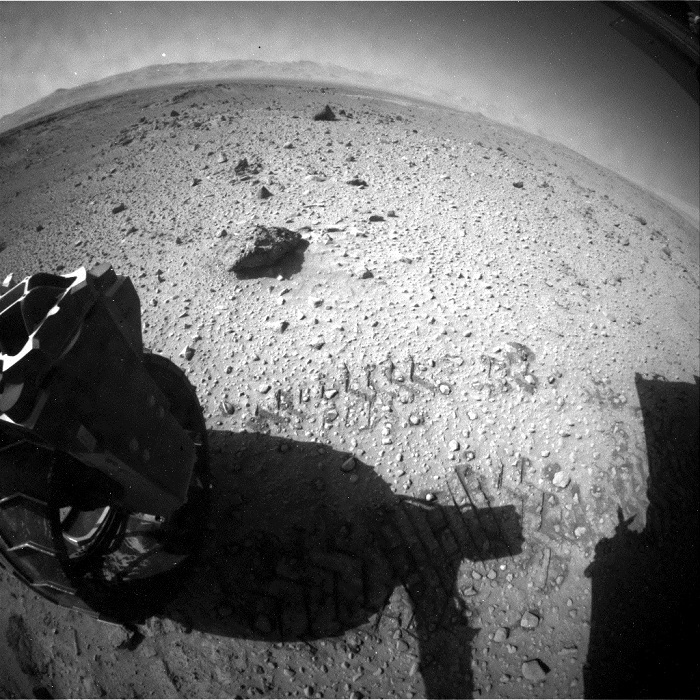 NASA's Mars rover Curiosity acquired this image using its Mars Hand Lens Imager (MAHLI), located on the turret at the end of the rover's robotic arm, on January 23, 2014, Sol 521 of the Mars Science Laboratory Mission, at 11:12:47 UTC. 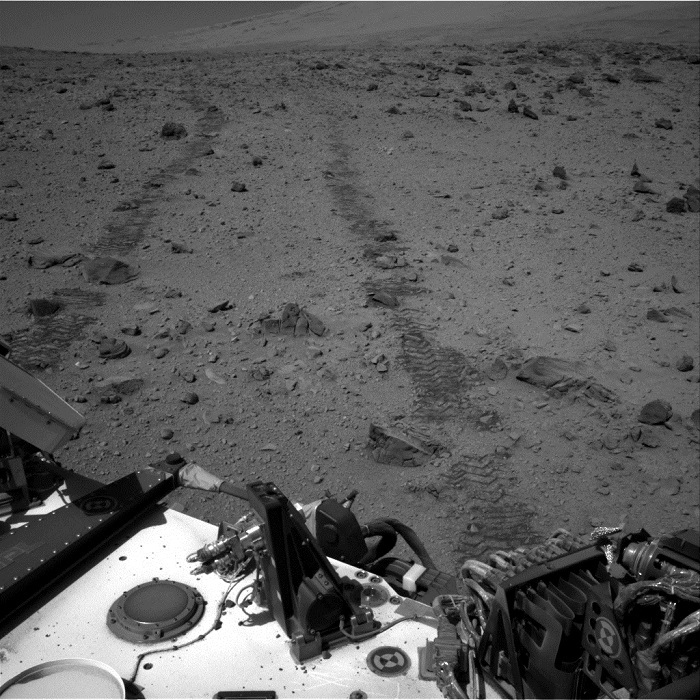 This image was taken by Navcam: Right B (NAV_RIGHT_B) onboard NASA's Mars rover Curiosity on Sol 521 (2014-01-23 11:52:57 UTC). 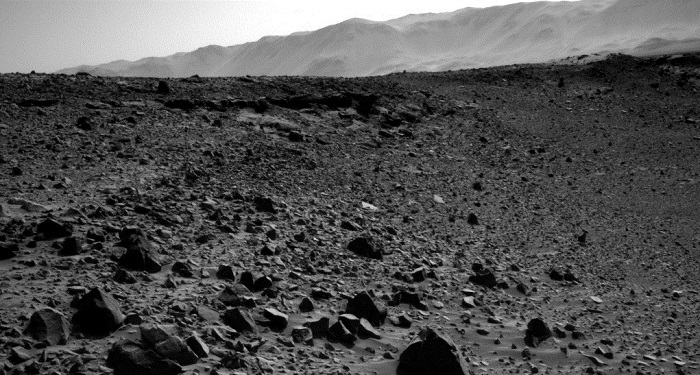 This image was taken by Navcam: Left B (NAV_LEFT_B) onboard NASA's Mars rover Curiosity on Sol 521 (2014-01-23 11:51:55 UTC). 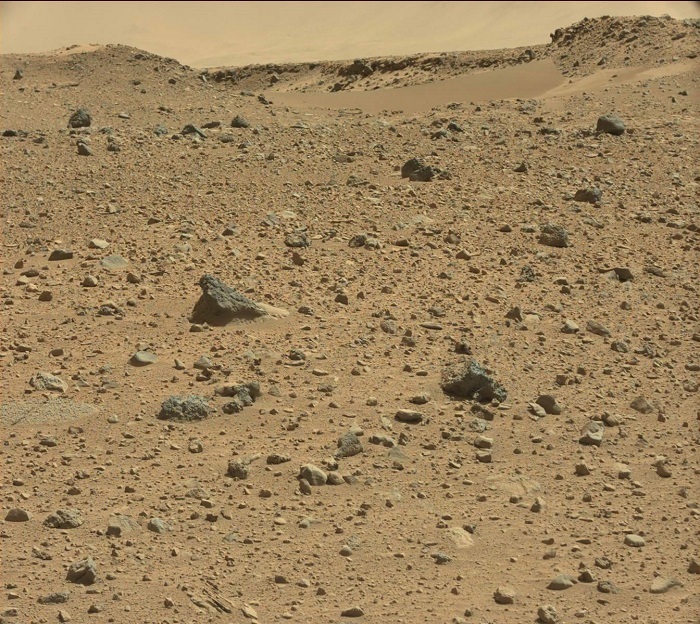 This image was taken by Mastcam: Right (MAST_RIGHT) onboard NASA's Mars rover Curiosity on Sol 522 (2014-01-24 10:25:11 UTC). 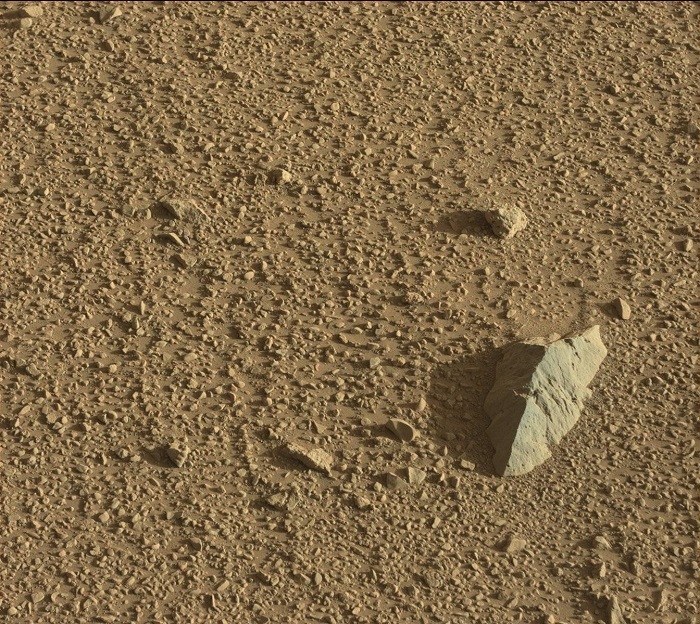 This image was taken by Mastcam: Right (MAST_RIGHT) onboard NASA's Mars rover Curiosity on Sol 522 (2014-01-24 10:26:47 UTC). 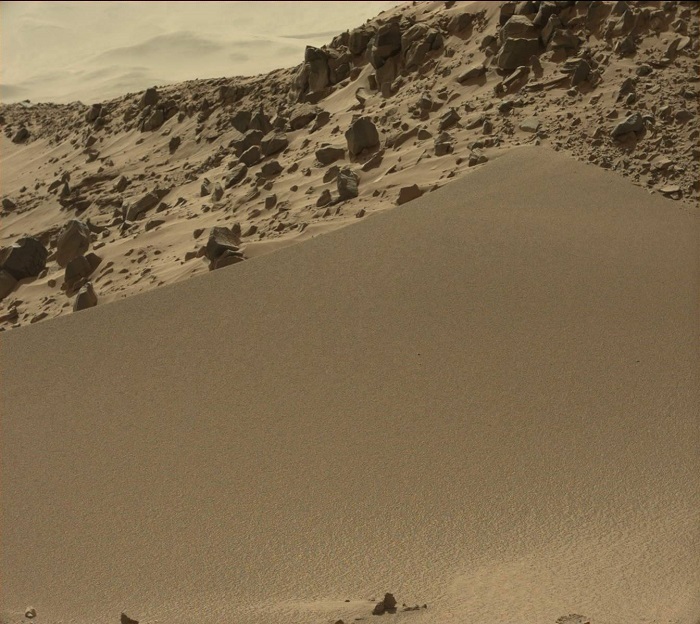 This image was taken by Mastcam: Left (MAST_LEFT) onboard NASA's Mars rover Curiosity on Sol 522 (2014-01-24 11:07:31 UTC). 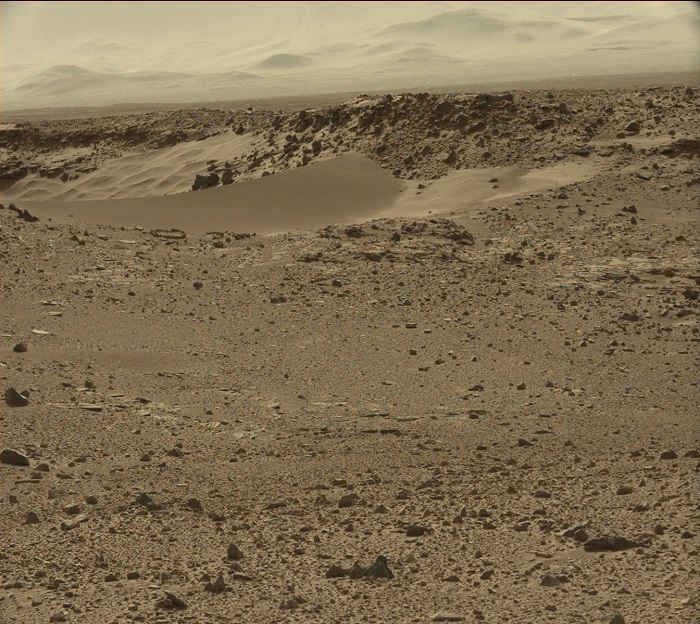 This image was taken by Mastcam: Left (MAST_LEFT) onboard NASA's Mars rover Curiosity on Sol 522 (2014-01-24 11:08:40 UTC). 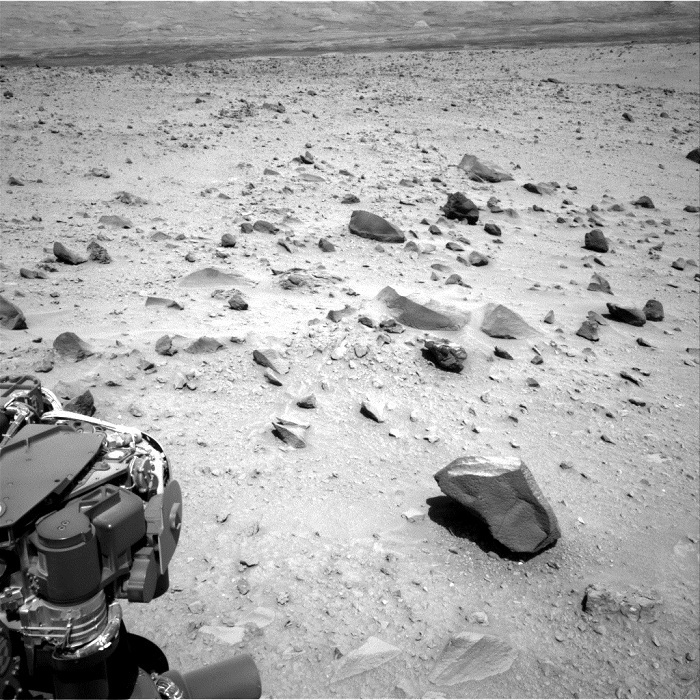 This image was taken by Navcam: Right B (NAV_RIGHT_B) onboard NASA's Mars rover Curiosity on Sol 522 (2014-01-24 11:15:21 UTC). 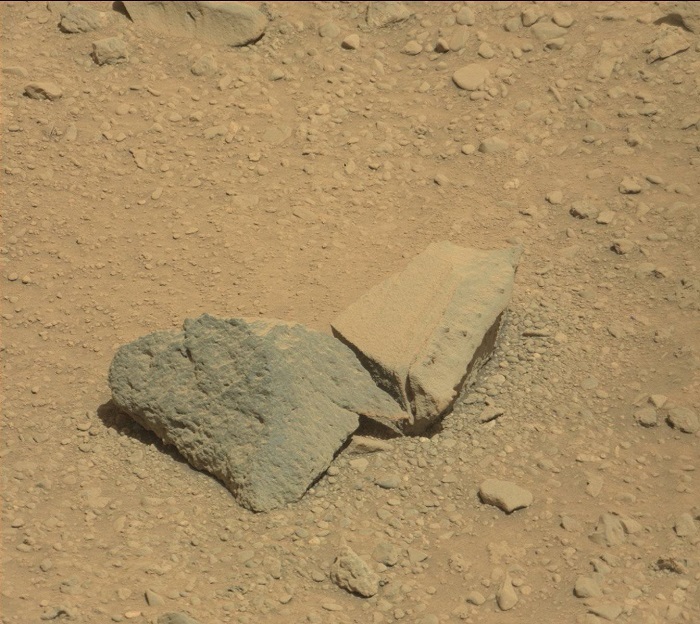 This image was taken by Mastcam: Right (MAST_RIGHT) onboard NASA's Mars rover Curiosity on Sol 523 (2014-01-25 12:51:32 UTC). 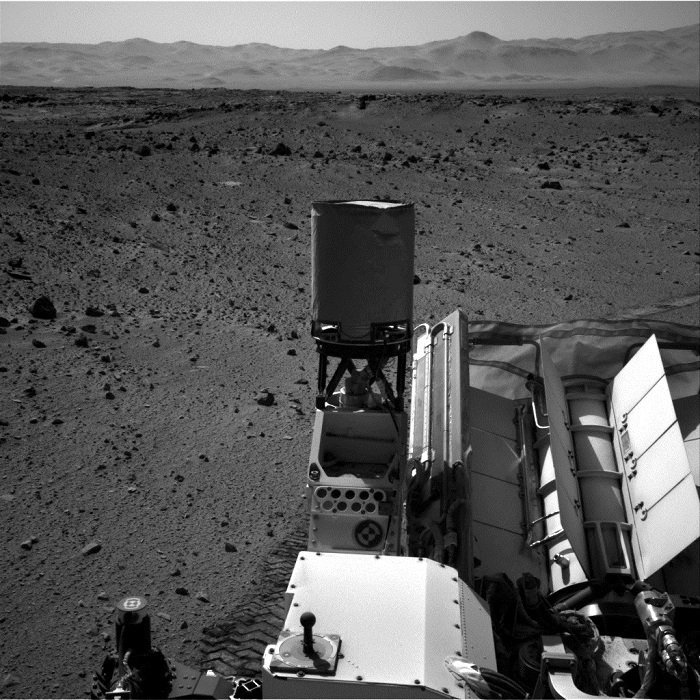 NASA's Mars rover Curiosity acquired this image using its Mars Hand Lens Imager (MAHLI), located on the turret at the end of the rover's robotic arm, on January 25, 2014, Sol 523 of the Mars Science Laboratory Mission, at 14:46:48 UTC. 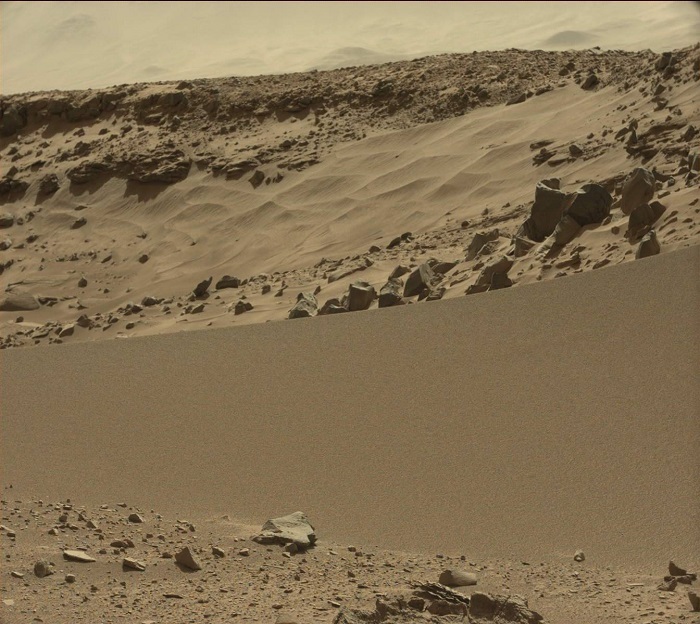 This image was taken by Mastcam: Left (MAST_LEFT) onboard NASA's Mars rover Curiosity on Sol 524 (2014-01-26 14:44:14 UTC). 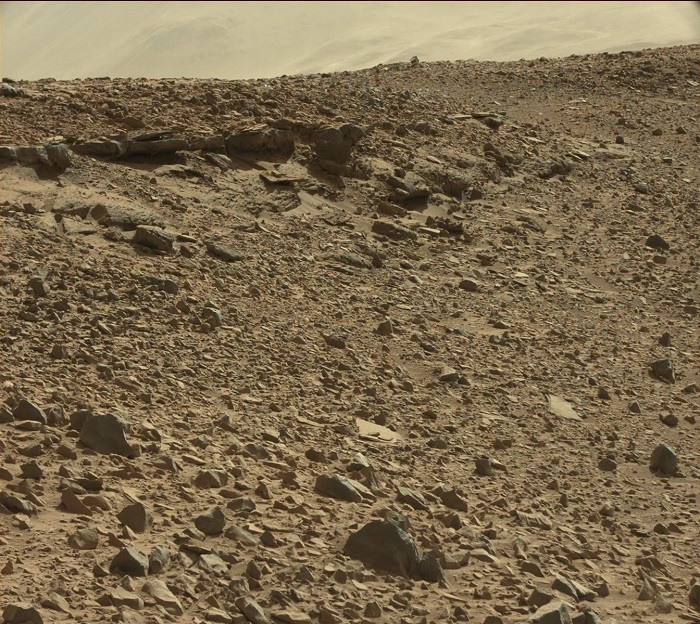 This image was taken by Mastcam: Left (MAST_LEFT) onboard NASA's Mars rover Curiosity on Sol 524 (2014-01-26 14:44:31 UTC). 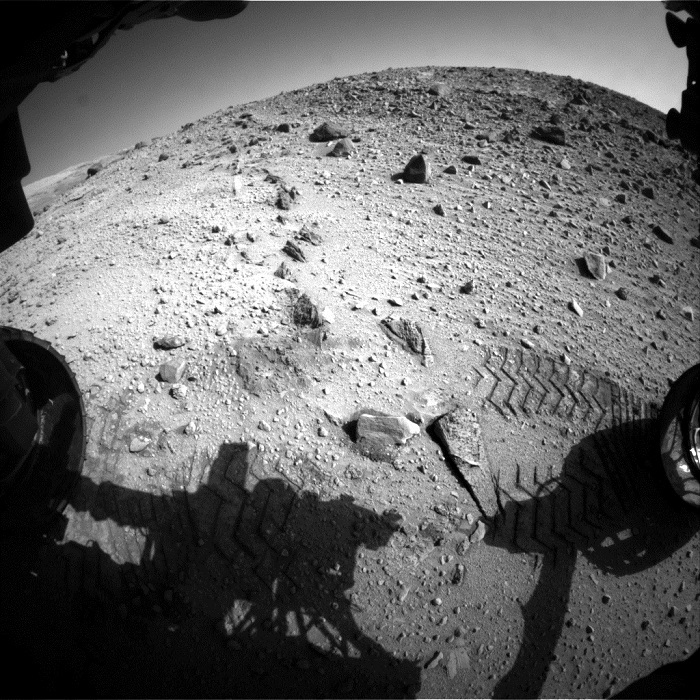 This image was taken by Navcam: Right B (NAV_RIGHT_B) onboard NASA's Mars rover Curiosity on Sol 524 (2014-01-26 14:52:49 UTC). 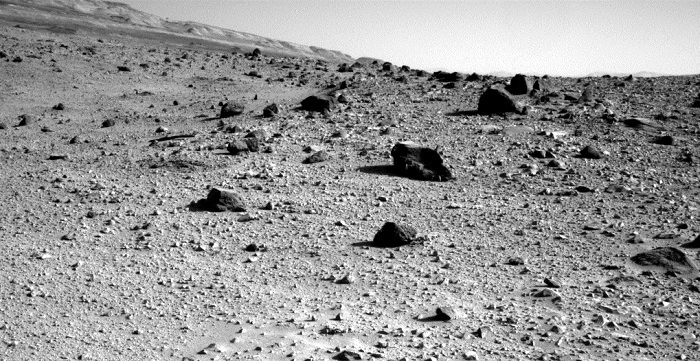 This image was taken by Navcam: Right B (NAV_RIGHT_B) onboard NASA's Mars rover Curiosity on Sol 524 (2014-01-26 14:54:55 UTC). 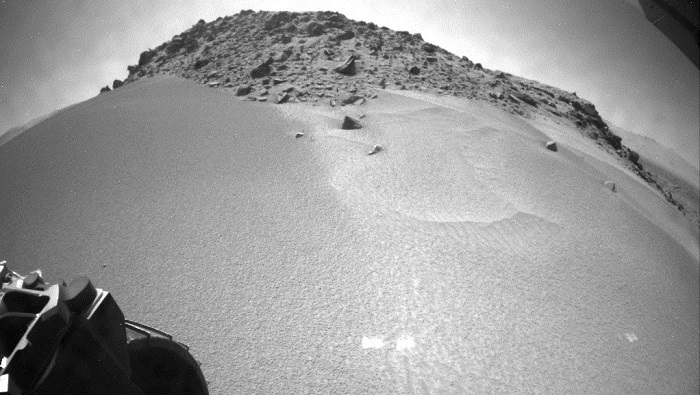 This image was taken by Rear Hazcam: Left B (RHAZ_LEFT_B) onboard NASA's Mars rover Curiosity on Sol 524 (2014-01-26 14:38:34 UTC). 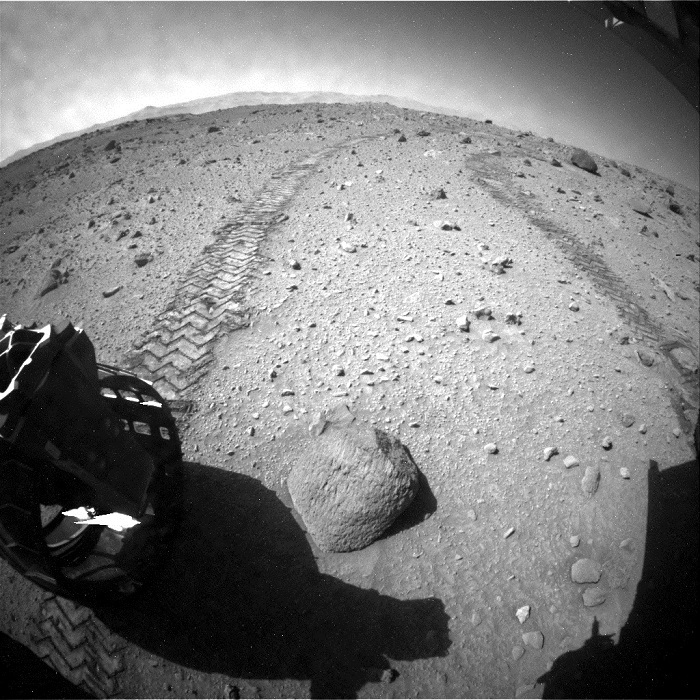 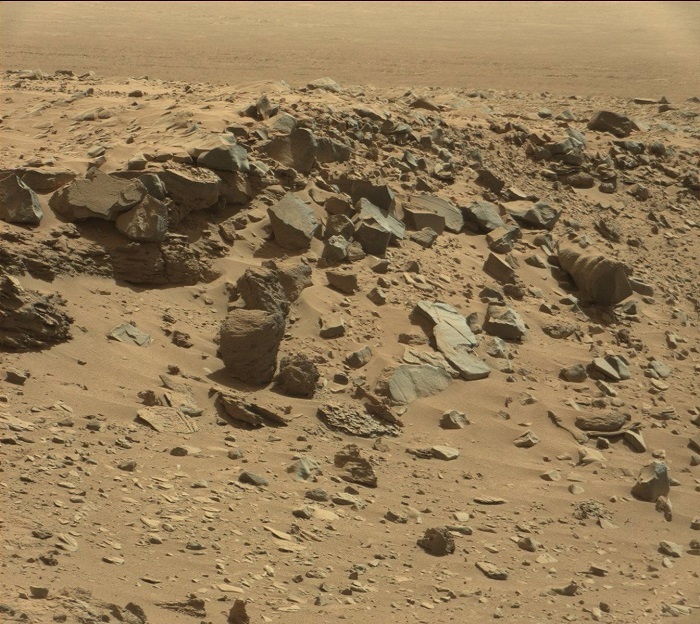 This image was taken by Mastcam: Right (MAST_RIGHT) onboard NASA's Mars rover Curiosity on Sol 526 (2014-01-28 14:23:01 UTC). 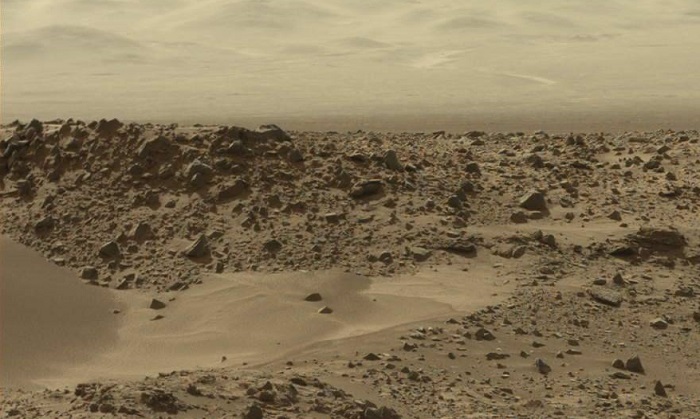 This image was taken by Mastcam: Left (MAST_LEFT) onboard NASA's Mars rover Curiosity on Sol 526 (2014-01-28 15:59:52 UTC). 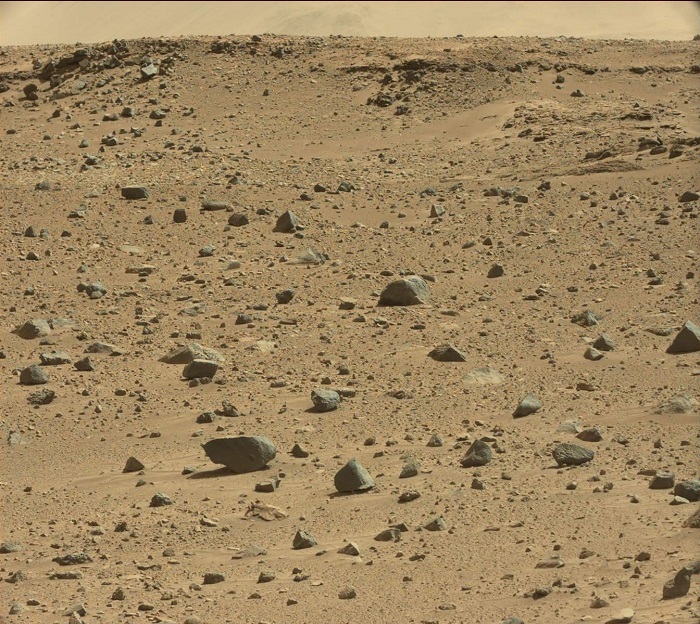 This image was taken by Mastcam: Left (MAST_LEFT) onboard NASA's Mars rover Curiosity on Sol 526 (2014-01-28 16:00:27 UTC). 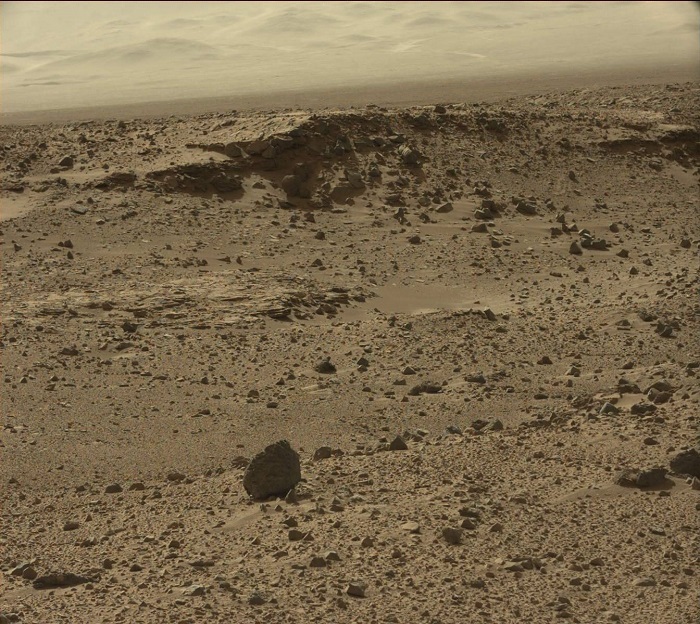 This image was taken by Mastcam: Left (MAST_LEFT) onboard NASA's Mars rover Curiosity on Sol 526 (2014-01-28 16:00:43 UTC). 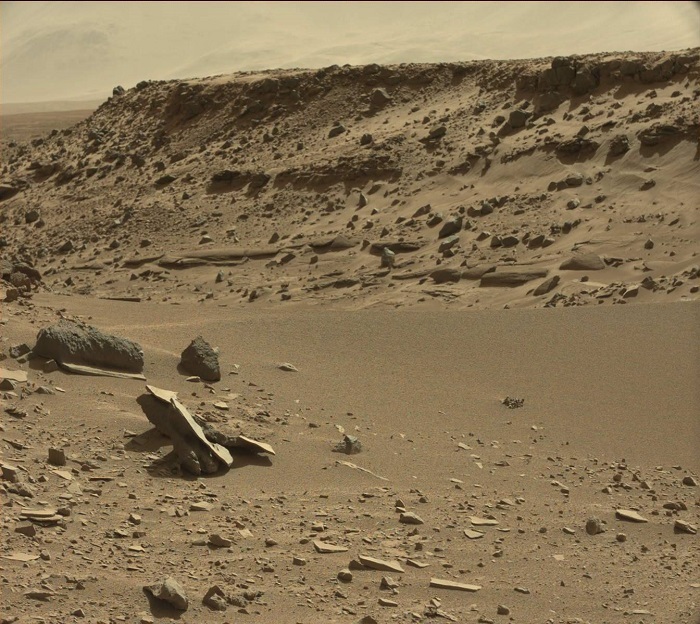 This image was taken by Mastcam: Left (MAST_LEFT) onboard NASA's Mars rover Curiosity on Sol 526 (2014-01-28 16:01:01 UTC). 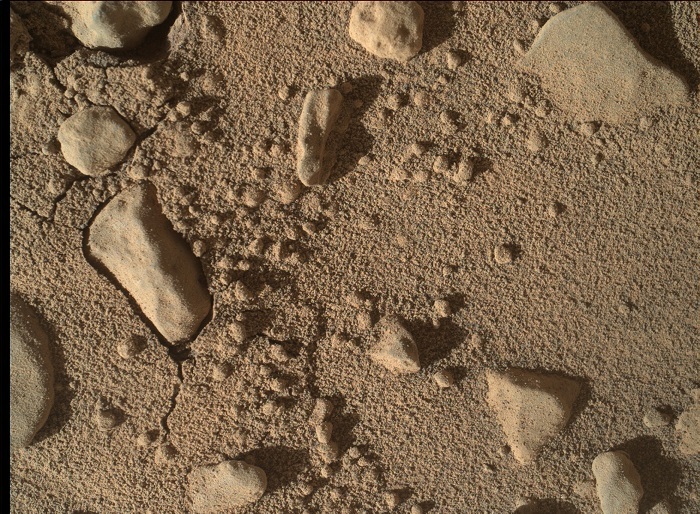 This image was taken by Navcam: Right B (NAV_RIGHT_B) onboard NASA's Mars rover Curiosity on Sol 526 (2014-01-28 15:54:20 UTC). 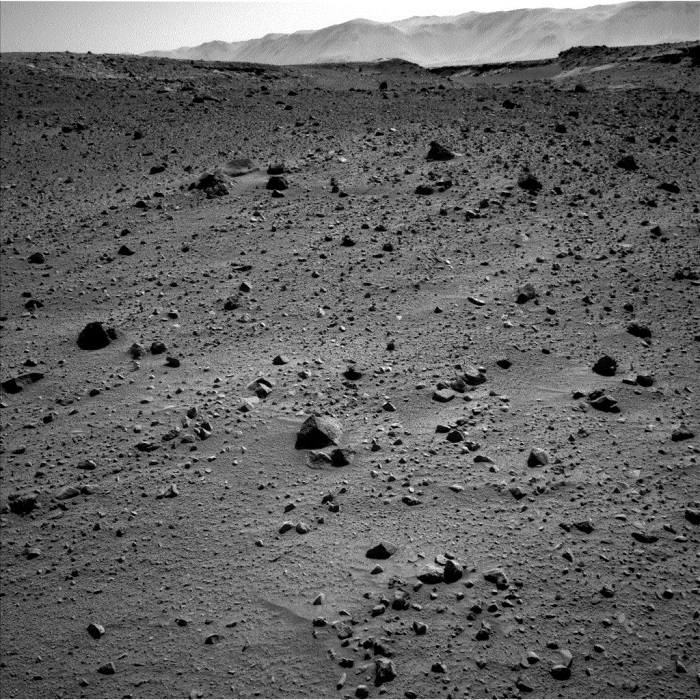 This image was taken by Navcam: Right B (NAV_RIGHT_B) onboard NASA's Mars rover Curiosity on Sol 526 (2014-01-28 17:09:58 UTC). 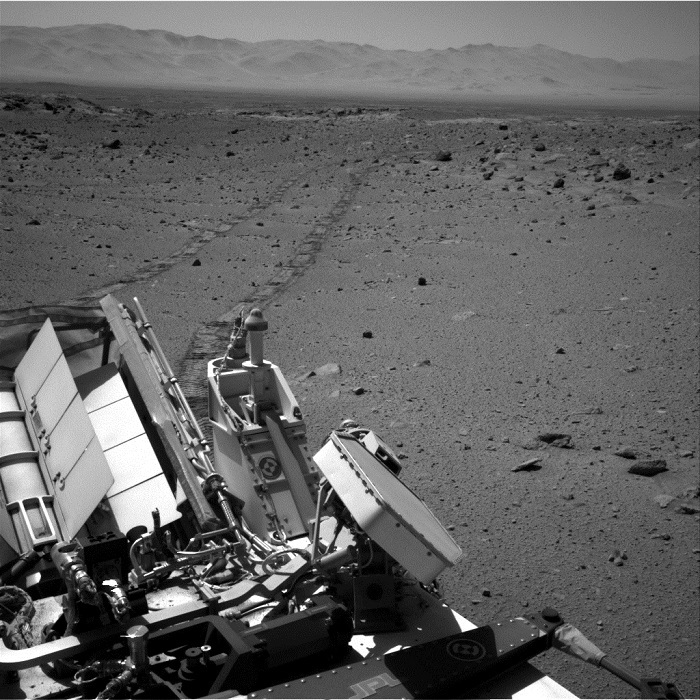 This image was taken by Rear Hazcam: Left B (RHAZ_LEFT_B) onboard NASA's Mars rover Curiosity on Sol 526 (2014-01-28 15:52:56 UTC). 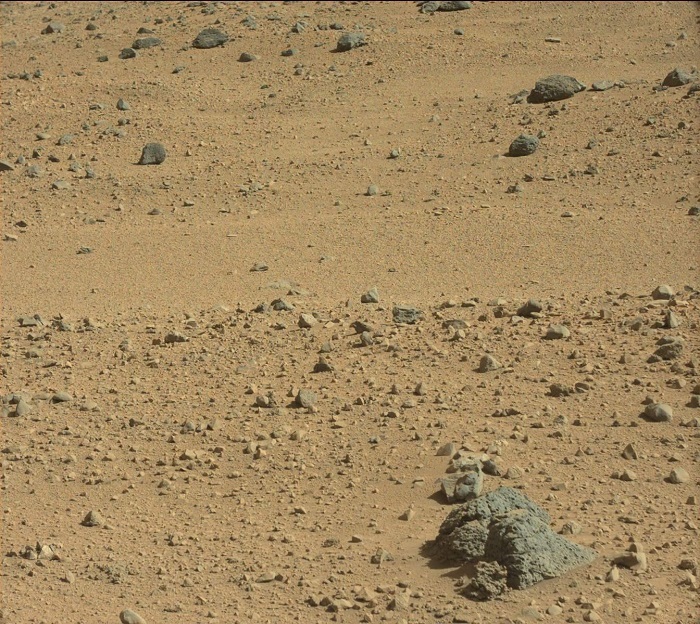 This image was taken by Front Hazcam: Left B (FHAZ_LEFT_B) onboard NASA's Mars rover Curiosity on Sol 526 (2014-01-28 15:52:29 UTC). 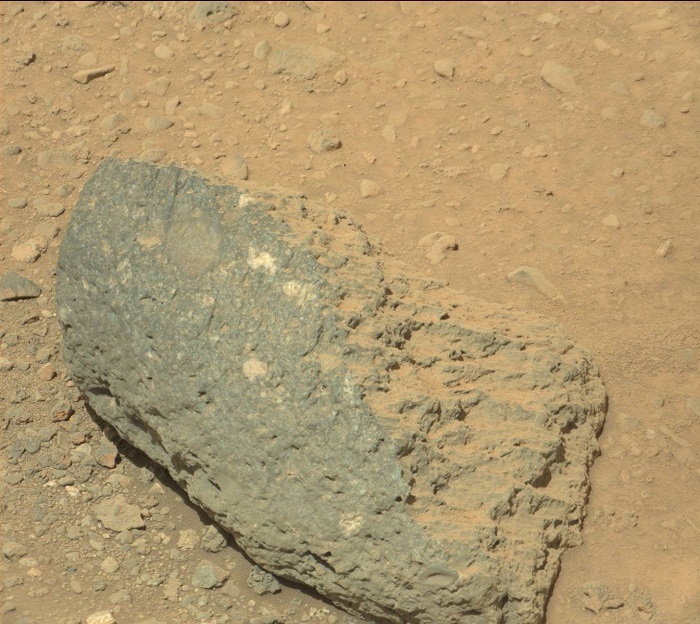 This image was taken by Mastcam: Right (MAST_RIGHT) onboard NASA's Mars rover Curiosity on Sol 527 (2014-01-29 13:37:13 UTC). 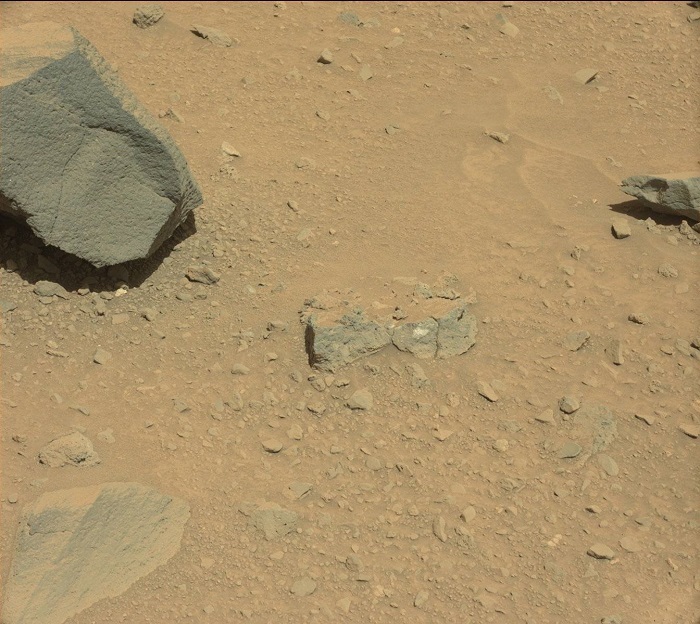 This image was taken by Mastcam: Left (MAST_LEFT) onboard NASA's Mars rover Curiosity on Sol 527 (2014-01-29 16:13:24 UTC). 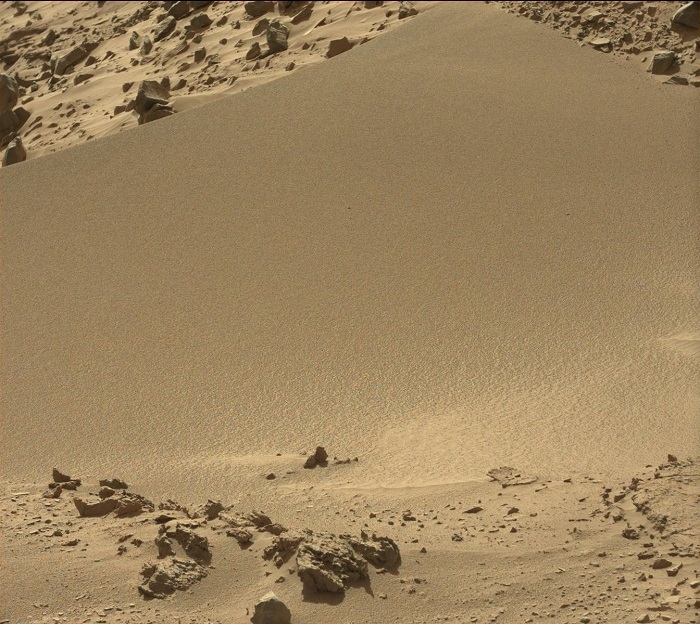 This image was taken by Mastcam: Left (MAST_LEFT) onboard NASA's Mars rover Curiosity on Sol 527 (2014-01-29 16:13:41 UTC). 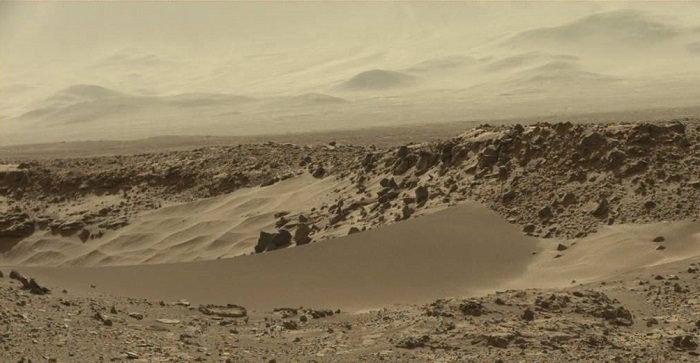 This image was taken by Mastcam: Left (MAST_LEFT) onboard NASA's Mars rover Curiosity on Sol 527 (2014-01-29 16:13:58 UTC). 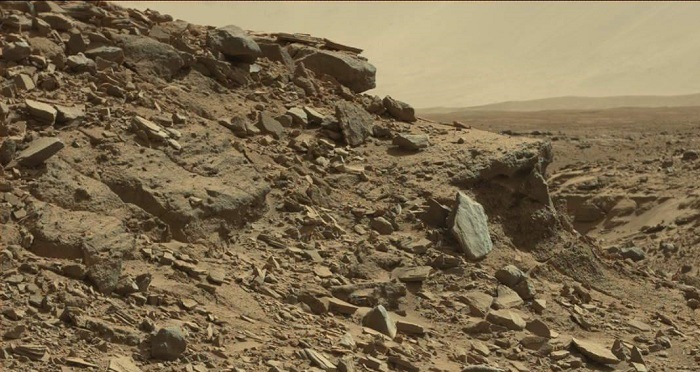 This image was taken by Mastcam: Left (MAST_LEFT) onboard NASA's Mars rover Curiosity on Sol 527 (2014-01-29 16:14:14 UTC). 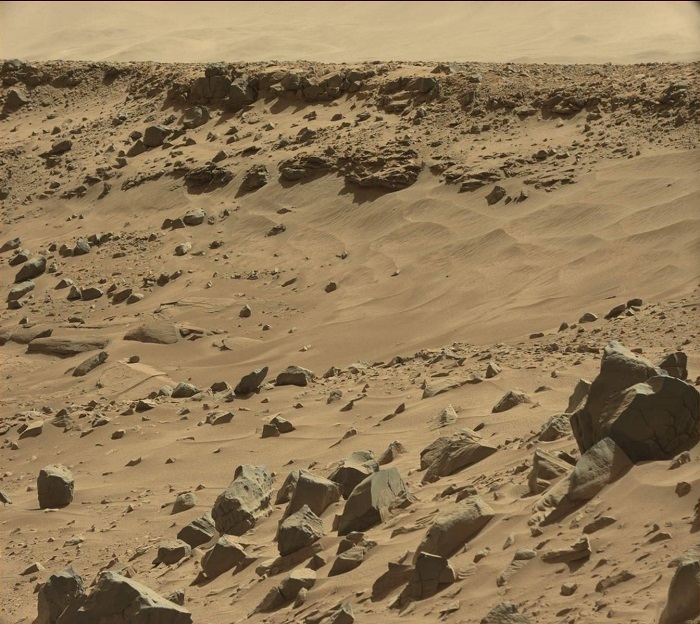 This image was taken by Mastcam: Left (MAST_LEFT) onboard NASA's Mars rover Curiosity on Sol 527 (2014-01-29 16:15:59 UTC). 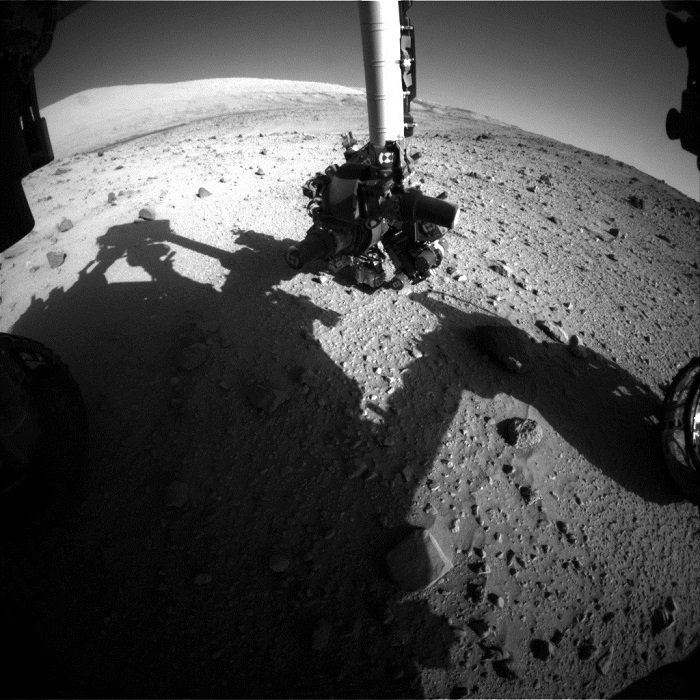 NASA's Mars rover Curiosity acquired this image using its Mars Hand Lens Imager (MAHLI), located on the turret at the end of the rover's robotic arm, on January 29, 2014, Sol 527 of the Mars Science Laboratory Mission, at 18:05:51 UTC. 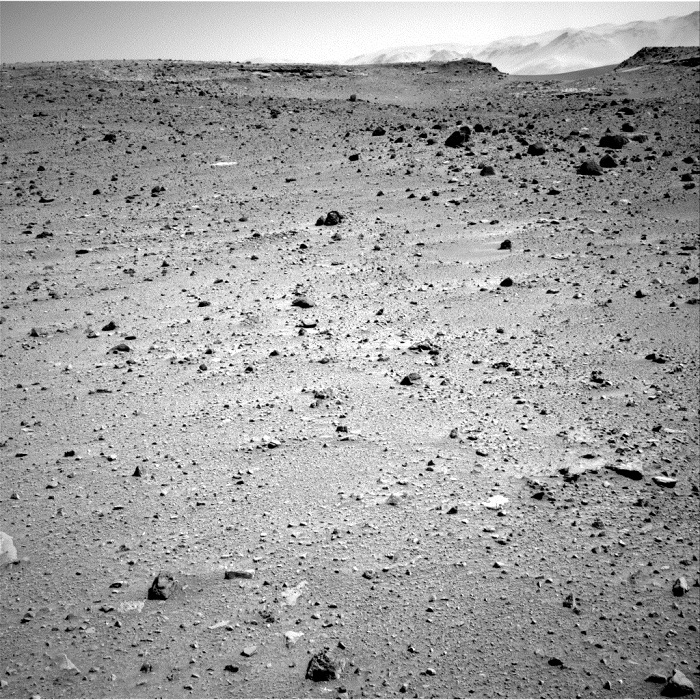 This image was taken by Navcam: Right B (NAV_RIGHT_B) onboard NASA's Mars rover Curiosity on Sol 527 (2014-01-29 16:08:48 UTC). 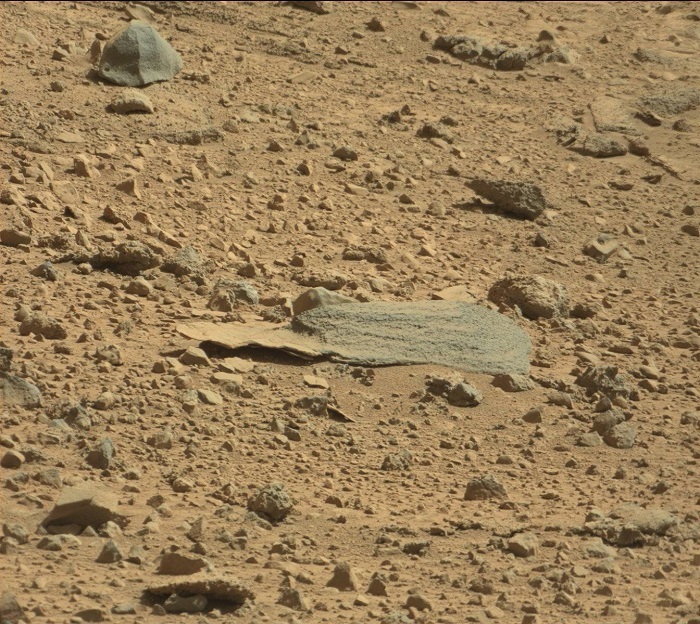 This image was taken by Mastcam: Right (MAST_RIGHT) onboard NASA's Mars rover Curiosity on Sol 528 (2014-01-30 16:13:16 UTC). 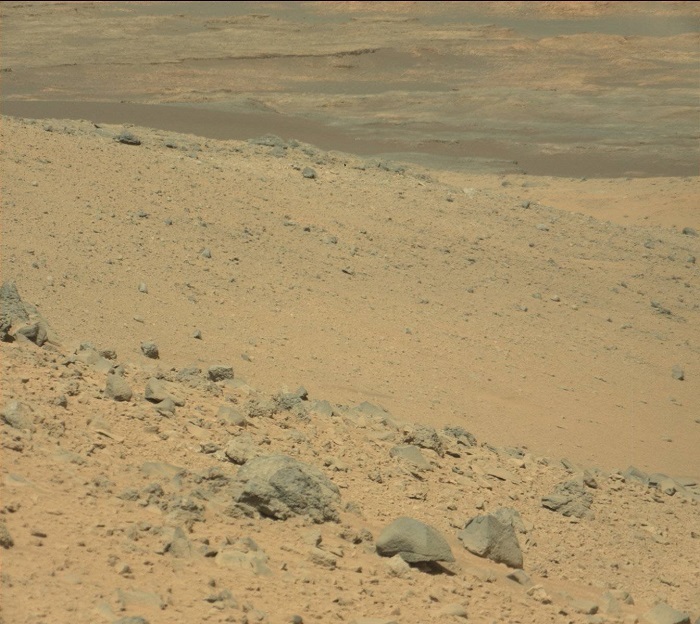 This image was taken by Mastcam: Left (MAST_LEFT) onboard NASA's Mars rover Curiosity on Sol 528 (2014-01-30 15:50:12 UTC). 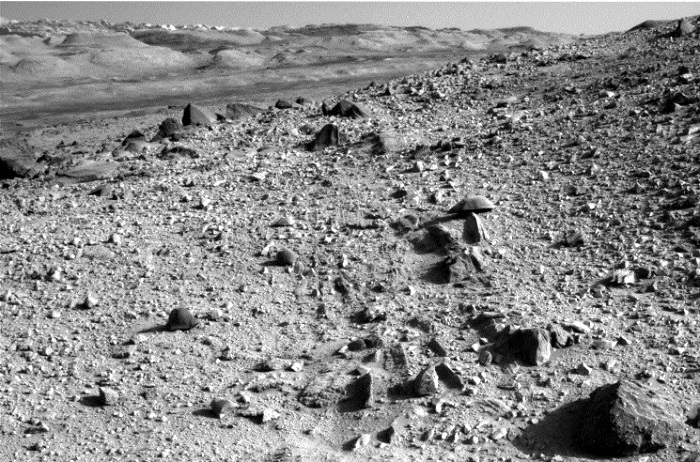 This image was taken by Navcam: Right B (NAV_RIGHT_B) onboard NASA's Mars rover Curiosity on Sol 528 (2014-01-30 15:53:57 UTC). 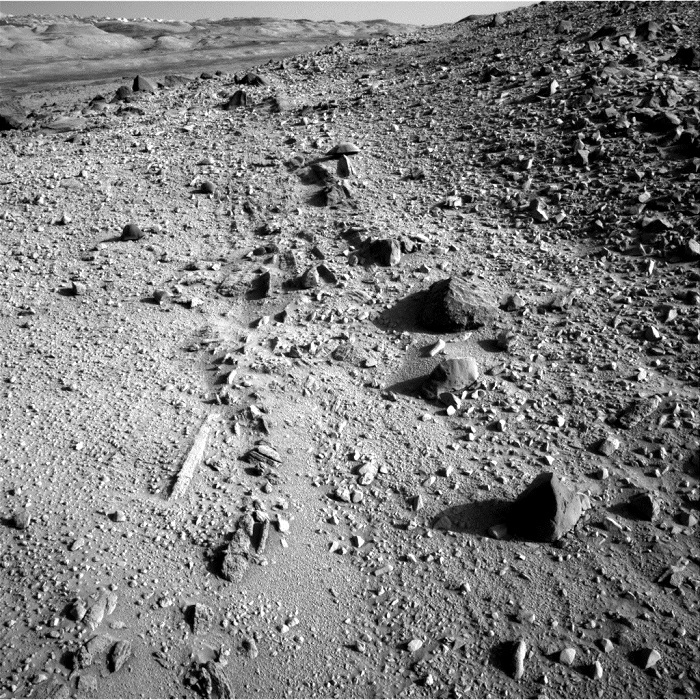 This image was taken by Navcam: Right B (NAV_RIGHT_B) onboard NASA's Mars rover Curiosity on Sol 528 (2014-01-30 16:17:09 UTC). 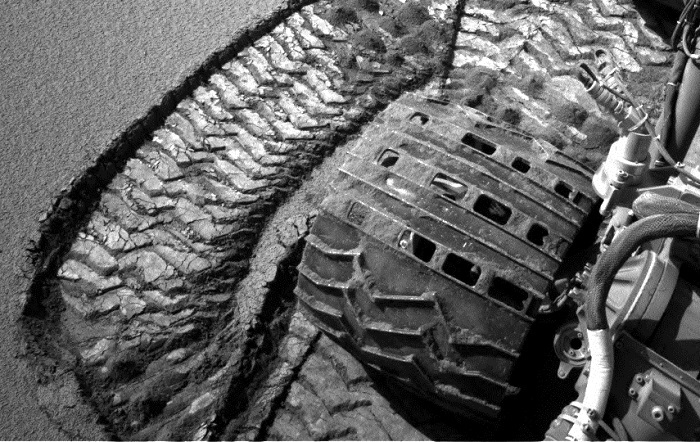 This image was taken by Navcam: Right B (NAV_RIGHT_B) onboard NASA's Mars rover Curiosity on Sol 528 (2014-01-30 17:49:50 UTC). 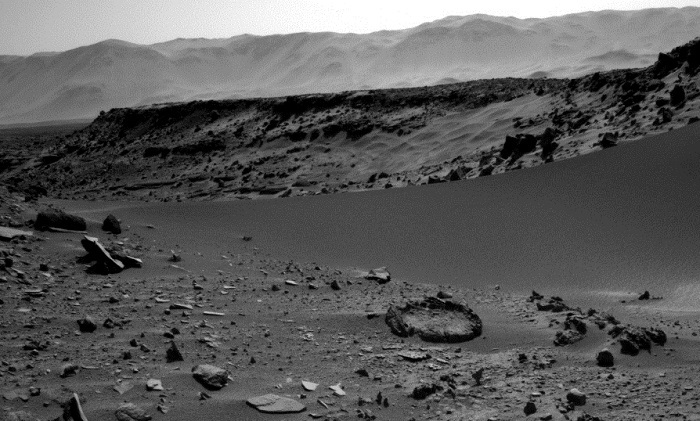 This image was taken by Navcam: Left B (NAV_LEFT_B) onboard NASA's Mars rover Curiosity on Sol 528 (2014-01-30 16:17:48 UTC). 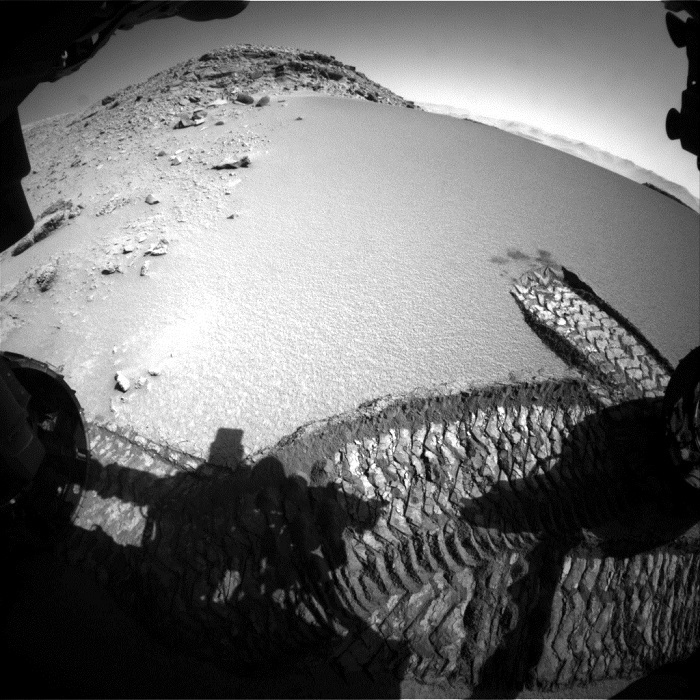 This image was taken by Rear Hazcam: Left B (RHAZ_LEFT_B) onboard NASA's Mars rover Curiosity on Sol 528 (2014-01-30 15:37:23 UTC). 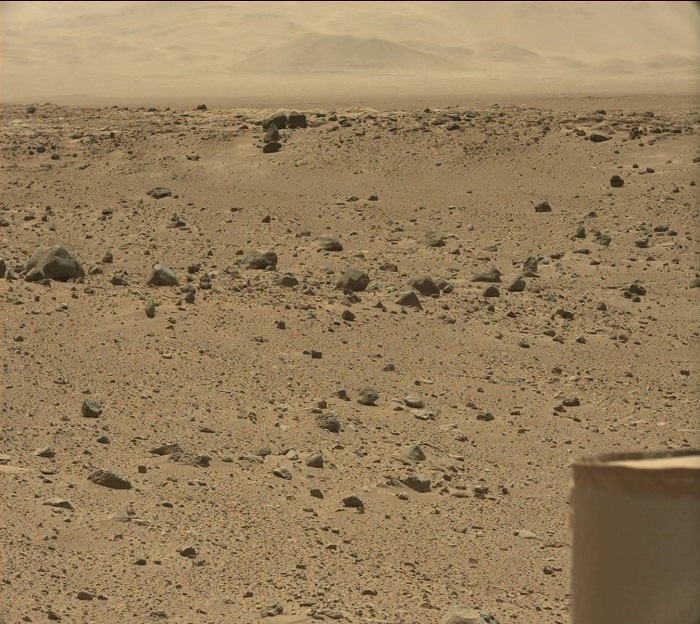 This image was taken by Front Hazcam: Left B (FHAZ_LEFT_B) onboard NASA's Mars rover Curiosity on Sol 528 (2014-01-30 16:07:13 UTC).